Many benefits are available to advance the education and skills of Veterans and Servicemembers through the US Department of Veterans Affairs (VA). Spouses and family members may also be eligible for education and training assistance. In fact, 25 percent of those benefitting from VAs education programs are non-Veterans. VA can help you cover the cost of furthering your education and skills through benefits to pay for tuition, housing, training, and other expenses related to your education. VA education benefits may be used toward traditional degrees, non-college degrees, on-the-job training, apprenticeships and more. VA also provides assistance to help Veterans transition from military service to civilian employment. Service-disabled Veterans may be eligible for one-on-one support, counseling, and training to boost skills and build careers. The Post 9/11 GI Bill offers higher education and training benefits to Veterans, Servicemembers, and their families who served after Sept. 10, 2001. 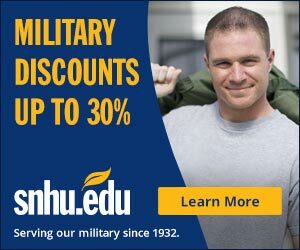 If you have at least 90 days of aggregate active duty service after Sept. 10, 2001, and are still on active duty, or if you are an honorably discharged Veteran or were discharged with a service-connected disability after 30 days, you may be eligible for this VA-administered program. The application process for Veterans seeking to use their education and training benefits varies for different types of applicants. After release from active duty, you have up to 15 years to use the Post-9/11 GI Bill. If you have eligibility for the Post-9/11 GI Bill and any other GI Bill program you must make an irrevocable election before you can receive any benefits. Your decision is final and cannot be changed. Plan ahead and apply early because VA education benefits can take a few weeks to process. Depending on where you live, your application is routed to one of four specialized Regional Processing Offices (RPOs) in Atlanta, GA; Buffalo, NY; Muskogee, OK; and St. Louis, MO. The Post-9/11 GI Bill Yellow Ribbon Program will pay all resident tuition & fees for a public school, or the lower of the actual tuition & fees or the national maximum (currently up to $21,084.89) per academic year for a private school. Your actual tuition and fees costs may exceed these amounts if you are attending a private school or are attending a public school as a nonresident student. The Joint Services Transcript is a collaborative transcript program that replaces previous transcript programs. The Joint Services Transcript describes your military schooling and work history in civilian terms. This document is a standard form, and makes it easier for colleges to read and recommend credits. If you are unfamiliar with the JST, view the video at http://jointservicetranscript.com/ where you can register or request a transcript as well as view Frequently Asked Questions. Military members in the Army, Marine Corps, Navy and Coast Guard who are active duty, reserve duty or veterans are eligible for the Joint Service Transcript. Air Force members should contact the Community College of the Air Force for transcripts. You can order an official transcript through the Air University at www.au.af.mil/au/barnes/ccaf/transcripts.asp. Servicemembers Opportunity Colleges (SOC) was created in 1972 to provide educational opportunities to servicemembers experiencing trouble completing college degrees due to their frequent moves. SOC functions in cooperation with the Department of Defense (DoD) and Active and Reserve Components of the Military Services to expand and improve voluntary postsecondary education opportunities for servicemembers worldwide. It is funded by DoD through a contract with the American Association of State Colleges and Universities (AASCU). The contract is managed for DoD by the Defense Activity for Non-Traditional Education Support (DANTES). The mission of SOC is to Serve as a vehicle to help coordinate post-secondary educational opportunities for servicemembers; Strengthen liaison and working relationships among military and higher education representatives; and to Advocate for flexibility needed to improve access to and availability of educational programs for servicemembers. The SOC Program is a cooperative civilian and military effort designed to link servicemembers to institutions that provide high quality education while 1) maximizing the proper award of academic credit for military training and experience, and alternative testing, and 2) facilitating the transferability of credits, so servicemembers can reach their educational goals and the goals of the Services. For more information, visit SOC’s Web site at http://www.soc.aascu.org. The SOC Degree Network System (DNS) consists of degree-granting colleges and universities that have adopted policies outlined in the Voluntary Education Partnership Memorandum of Understanding (MOU) to help servicemembers and their adult family members earn college degrees. Many courses offered by DNS institutions have two-way guaranteed transferability, making it easier for servicemembers to complete associate and bachelor’s degrees no matter where they move during their military careers. The SOC Degree Network System was consolidated in fall 2014 into a 2-year institution and 4-year institution system without Service branch designations (SOCAD, SOCNAV, SOCMAR, and SOCCOAST). For more information you can contact the office of DoD MOU at 850-452-1977. 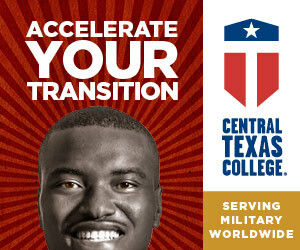 Only your local college or university can tell you if college credits earned while you were on active duty will transfer into any of its degree programs. If you have completed the residency requirements with a DNS home college that issued you a Student Agreement, it is usually best to complete your degree with that college. Always check with the home college from which you expect to receive the degree. All of them will require that you receive advanced approval for courses taken at a college that are not in the SOC Degree Transferability Tables. With a Student Agreement, continuing your college work can be greatly simplified as you make the transition from military to civilian life. Education opens many doors to employment and provides a foundation for the rest of your life. Start today!